Netflix might have a lot of competitors the world over, but it has managed to carve a niche for itself. Ever since its entry in Australia, it has had a growing subscriber base, in spite of the Netflix competitors in the market. Here is a brief analysis of how they fare when compared. The main Netflix competitors are Foxtel Play, Presto, Stan, and Quickflix. If we look at their monthly rates compared to Netflix rates, this is what we find. Netflix offers three packages at $8.99 (basic, SD quality only), $11.99 (standard, SD and HD quality), and $14.99 (premium, up to Ultra HD). Foxtel Play has a tiered payment plan which is based on the number of channel bundles you select. However, the pricing starts at $25, which makes it the most expensive out of all five as it offers only SD quality. Stan and Quickflix are both priced almost the same at $9.99 and $10 respectively. Stan is available in HD, and Quickflix is both SD and HD. Presto is priced at $9.99 for the TV shows only package, $9.99 for movies only, and $14.99 for both. After Foxtel Play, this is the most expensive of all the Netflix competitors. However, $14.99 will get you Ultra HD video quality with Netflix while Presto only offers SD. All of them, except Foxtel, offer a 30 day free trial period when you sign up. Foxtel offers a 14 day trial free. All of them are contract-free services so you can opt out whenever you feel like it. Netflix and all Netflix competitors are supported by more than one platform. Netflix is available on PC/Mac, Smart TV, mobile phones, tablets, gaming consoles, and Chromecast. Quickflix is the only one to be also available on TiVo, while Presto is not available on gaming consoles and Apple TV. The number of devices you can view on are not limited on Netflix, but based on the plan, you are allowed 1, 2, or 4 streams. Stan is the only one of the Netflix competitors offering unlimited devices, and will allow 3 streams. All others have a limited number of devices you can set them up on. Quickflix will allow setting up on 6 devices, and up to 3 streams. Presto can be set up on 4 devices, and you can watch on 2 of them simultaneously. Foxtel restricts the set up to 3 devices with 2 allowed to stream simultaneously. The number of programmes you can access on the Netflix competitors is varied. Foxtel has variable titles since you can decide how many channel bundles you want out of a potential seven. Quickflix has about 2300 titles. Stan, Presto, and Netflix Australia are all placed at approximately 1200 odd titles. 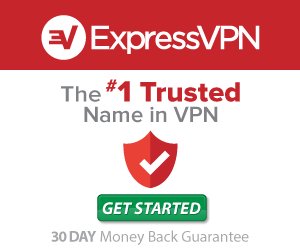 However, Netflix has an advantage over the Netflix competitors as Netflix US has over 9000 titles and you can access these with DNS products like ExpressVPN. This not only gets you the American library, but also any other country’s Netflix library. This opens up much more content that any of the other options. Since Netflix has a number of great features like up to five different profiles per account, and each profile saves programmes separately. It remembers where a video was stopped and plays it from there on that profile. The user interface is intuitive and very easy to use. All these combined with the huge library you get with Unblock-Us make Netflix the best choice.